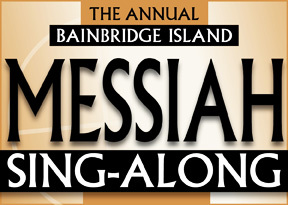 Thanks to all who participated in and attended the Messiah Sing-along! We were delighted that several student musicians joined the orchestra for the first time, sharing their talents with the ensemble. A highlight of the event was the beautiful work by soloists Susy Wingate, Julia Benzinger, Will Gardner and Jonathan Silvia. The Chorale sings O Fortuna, the iconic section of Carl Orff’s Carmina Burana, during their April 2017 joint production with the Bainbridge Symphony Orchestra titled Sacred & Profane: Carmina Burana. Youth Program Artistic Directors Laura Milleson and Matthew Blegen speak about the value of teaching kids to sing together, with additional comments by Kristin Collins, Bainbridge Chorale Board member and parent of an Olympic Girls’ Choir graduate who now sings with the Bainbridge Chorale. View a Chorale singer and Director Michael Miller speak about the value of the Chorale to its singers and its community. © 2019 Bainbridge Chorale | website by Moff Interactive Inc.